American Crime Story: The People v. O.J. Simpson. (DVD Artwork). ©20th Century Fox. Arguably more captivating than the actual trial of the century, the acclaimed miniseries “American Crime Story: The People v. O.J. Simpson” is now available on DVD (MSRP: $39.98) and Blu-ray (MSRP: $49.99) from Twentieth Century Fox Home Entertainment. Nominated for a staggering yet well-deserved 22 Emmy nominations, the 10-episode miniseries aired on FX earlier this year. It recounts the controversial events surrounding the O.J. Simpson murder trial. Told from the perspective of the lawyers who became celebrities themselves by the time the trial was over, the miniseries had TV audiences glued to their television sets once again as it showed the many shocking courtroom twists that led to one of the most unexpected verdicts of all time. Based on the best-selling book “The Run of His Life: The People v. O.J. Simpson” by Jeffrey Toobin, the miniseries does the impossible by taking one of America’s most famous court cases and keeps viewers on the edge of their seats waiting to see what transpires next. While the writing is superb, the performances—particularly from Sarah Paulson (“American Horror Story”) as head prosecutor Marcia Clark, Sterling K. Brown (“Army Wives”) as prosecutor Christopher Darden and Courtney B. Vance (“Law & Order: Criminal Intent”) as lead defense attorney Johnnie Cochran—are what truly make “American Crime Story: The People v. O.J. Simpson” so enthralling. It will be the crime of this century if Paulson, Brown and Vance don’t win Emmys come Sept. 18 when the TV awards show is scheduled to take place. 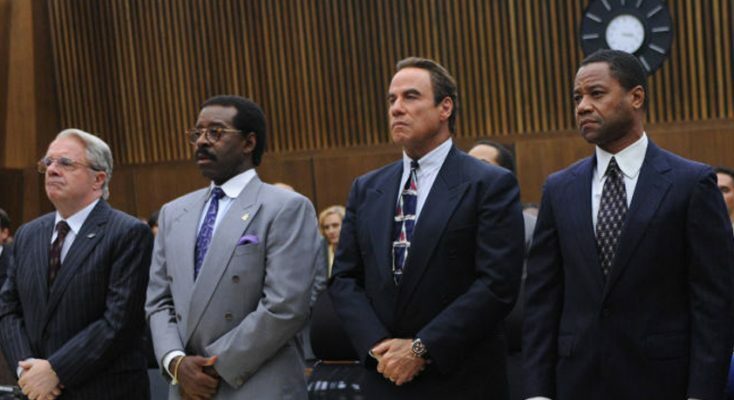 The rest of the cast does a remarkable job as well, although at times it’s hard to forget you’re watching John Travolta play defense attorney Robert Shapiro, Cuba Gooding Jr. play O.J. Simpson and David Schwimmer play Simpson’s longtime friend, attorney Robert Kardashian. They don’t get lost in their roles quite the same way Paulson, Brown, Vance and even Kenneth Choi (“Sons of Anarchy”) as Judge Lance Ito and Nathan Lane as defense attorney F. Lee Bailey do in their parts. Even though audiences may feel like they’re watching these actors instead of the people they’re portraying, it’s never so distracting that it disconnects viewers from the drama unfolding on-screen. 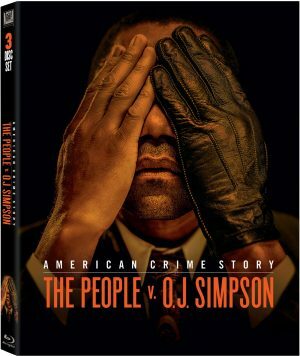 The DVD and Blu-ray of “American Crime Story: The People v. O.J. Simpson” contain just two special features. “Facts of the Case: An Interactive Timeline” is just that: an interactive timeline viewers can use their DVD or Blu-ray remote to navigate, showing a breakdown of the events leading up to the trial all the way to the case’s final verdict. Broken into four parts—Pre-trial, Prosecution, Defense and Rebuttal & Verdict—viewers can not only read about what happened when, day by day, minute by minute, but also in select cases click on corresponding video clips from the miniseries that show the events in more detail. The Blu-ray packaging also has a more condensed timeline as part of its slipcover that features stills from the miniseries to illustrate certain real-life events. The only other special feature included is the informative “Past Imperfect: The Trial of the Century,” which details the making of the miniseries and takes a look at how the trial became “less about the victims and more about something else.” Featuring interviews with the cast and crew, including author Toobin, viewers will learn about how John Travolta originally said no to the project, how the infamous Bronco chase was recreated and even where certain crewmembers were during the original freeway chase. Although it’s interesting to hear how the crew was delighted when doubters said Cuba Gooding Jr. was all wrong for the part of O.J. Simpson because no one would ever believe he was a murderer (turns out Gooding Jr. was cast because he was able to “capture the magnetism” of Simpson pre-trial, when everyone loved the football player-turned-actor and couldn’t believe he would ever be capable of such a heinous crime), it’s more interesting to hear about how the crime’s coverage in the media influenced the world we live in today, from the expansion of 24-hour news networks to the birth of reality TV. After all, as this feature points out, Simpson houseguest Kato Kaelin was the first person ever to become famous for doing absolutely nothing. The makers of the captivating miniseries also discuss how they tried to leave it up to the individual viewer as to whether Simpson was guilty of murdering his ex-wife Nicole Brown Simpson and her friend Ronald Goldman. Instead, they focused on how the case slipped through the prosecution team’s fingers, what happened to America during the trial (is it possible to really see things so differently based on one’s race?) and how, at the end of the day, Simpson didn’t really walk away a winner, as he ended up “a man without a country.” As David Schwimmer says, the whole thing was truly a Greek tragedy. While it might seem hard to believe that more than two decades later the O.J. Simpson murder trial still would be gripping the minds of audiences, “American Crime Story: The People v. O.J. Simpson” manages to hold viewers’ interest for almost 10 hours and still leave them wanting more. Even when the verdict is finally read, the viewer may not want the miniseries to end. Perhaps FX will one day make a miniseries about the next chapter of the O.J. Simpson saga. “American Crime Story: The People v. O.J. Simpson – The Palace Station Trial,” anyone?